War Mongering Countries Just While away this time till 4th Dec. 2017 . Read my articles on my webpage https://www.astrodocanil.com/ Dozens of them written that ASTROLOGY can Predict the future. Wise will make use of it to for Positive perspective while the Fools will ignore it . Kim any way does not seem to be wise and since in the country foundation chart a Bhandan yoga is there , this could lend him in most ugly situations but he will also create hell for South Korea and US. This is in the Korean Peninsula. What about the rest of the World Indo-China Dispute. Gulf War and ISIS decay . Saturn on the wheels believes in first warning and then Explode in the shape of mass happenings. Saturn does not believe in small punishments .I wish we had some thing to Cool the Scenario. God Bless us all. SECRET service agents are investigating a suspicious package left near the White House. LONDON Heathrow was on lockdown again this afternoon. The Lagna is Vargottam but see the Luminaries , Mercury and Venus are in Rahu-Ketu axis and Ketu in the 3rd house with Moon and Mercury and the Moment Mars Ingresses in Cancer on the 11th July it will aspect Ketu and Rahu will be aspected by Saturn , This Planetary Position sis definitely explosive and cannot be ignored . In this Position Mars will make a Perfect combination of Terrorism, Boarder clashes with Magnitude . Mars will aspect Ketu by 8th aspect and Saturn will aspect Rahu by 10th Aspect , making the Full Moon chart most Precarious Hence this Fortnight will also not be a good one . Parameters acquiring Special dimension in the Fortnight starting from 9th July 2017. On the 11th July Mars will aspect Ketu in Aquarius Degree wise after 15-00 hrs. Moon Ingress in the Sign Aquarius and Rahu and Ketu in Forward motion will further worsen the Global Scenario for al the Activities mentioned by me Hence the 13-14th July also become Prone . Let me reproduce the same here Below . Hindu Astrologers have great Predictive techniques available with them, which are unknown to western Astrologers . It is for this reason that Indian Astrologers who have their roots in great spiritual traditions of India score over the western rivals and therefore can make brilliant predictions . It is some times very important to know which particular month in the life of the nation is likely to become historic in terms of achievement and disaster . The Transit of Sun in the Cardinal signs therefore acquires an important dimension. Special attention is paid to the position of Sun Benefic and Malefic influence on the Sun. The Matters pertaining to the house where Sun is located would figure Prominently during the year and the influence of the houses the Planets are owning . Let us have a Look at the chart of the Solar ingress in Cancer a Watery sign on the 16th July 2017 at 16-25 hrs. The Day is Sunday and the Lord is Sun Placed in the yama of Virgo the 11th house of the chart and Jupiter the 2nd and the 5th Lord is Placed .The Yama Lord is Placed with the 10th Lord Sun and with Lagna Lord and the 6th Lord which is debilitated is the Most Malefic Parameter in the Chart . The Connection of the 6th and the 8th Lord with the Sun . The Connection of the 6th Lord with 9th house, 3rd house and the 12th House is not good specially when it is Mars debilitated and with Sun and the yama Lord . This ingress may not be a good one the Significations of the 11th, 8th, 6th and the 9th house may be be experienced . Mars is also combusted. The Malefic Parameters are the Sun with Debilitated Mars , Mars in Nakshatra Gandantha, Lagna In Navamsha Gandantha from Watery to Fiery , Rahu in Gandantha , Saturn Fallen from Fiery sign to Watery sign . All the above Parameters indicate that the Places of Supreme Court , Judges, Temples, Embassies, Long Travel , Religious Places , Air Travel , will be adversely influenced . Earthquake, Tsunami like Event ,Terrorism, Boarder Issues may be the main issue also with Discontentment in the General Public. 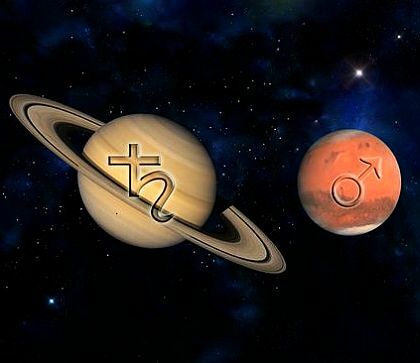 Saturn also aspects Moon in Taurus 28-29 degrees of Planets Moon , Saturn, Mars ,Venus , Rahu and Ketu.